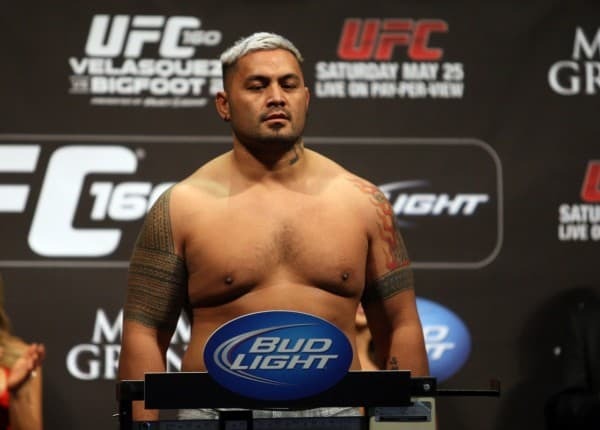 With two straight stoppage losses to Fabricio Werdum and Stipe Miocic, 41-year-old heavyweight Mark Hunt’s next bout is currently unknown. 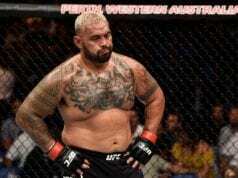 And it appears that will be the case for some time now, as ‘The Super Samoan’ reportedly injured his toe and acquired a nasty infection while preparing Australian countryman Soa Palelei to face his former foe Antonio ‘Bigfoot’ Silva on the main card of tomorrow night’s (Sat., August 1, 2015) UFC 190 pay-per-view (PPV) from the HSBC Arena in Rio de Janeiro. Hunt went to AKA Thailand in Phuket to help ‘The Hulk,’ and even though it looks like his latest in a long series of disgusting injuries will keep him out of action for awhile, he apparently wants to return at the UFC’s card in Melbourne, Australia on November 14. No one ever said that ‘The Super Samoan’ wasn’t one of the toughest men in the world.